Dr. Boudreaux is a native of Baton Rouge, LA. He attended Louisiana State University, then transferred to Southeastern Louisiana University earning his Bachelors Degree in Biological Sciences. 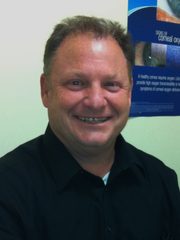 Dr. Boudreaux attended the Illinois College of Optometry in Chicago, earning a Bachelors Degree in Visual Sciences and ultimately his Doctor of Optometry Degree in 1997. He is a member of the American Optometric Association and the Optometric Association of Louisiana. Dr. Boudreaux provides comprehensive eye care, including the diagnosis and treatment of ocular disease. His areas of expertise include the treatment of dry eye conditions and difficult to fit contact lenses, particularly multi-focal and toric lenses.